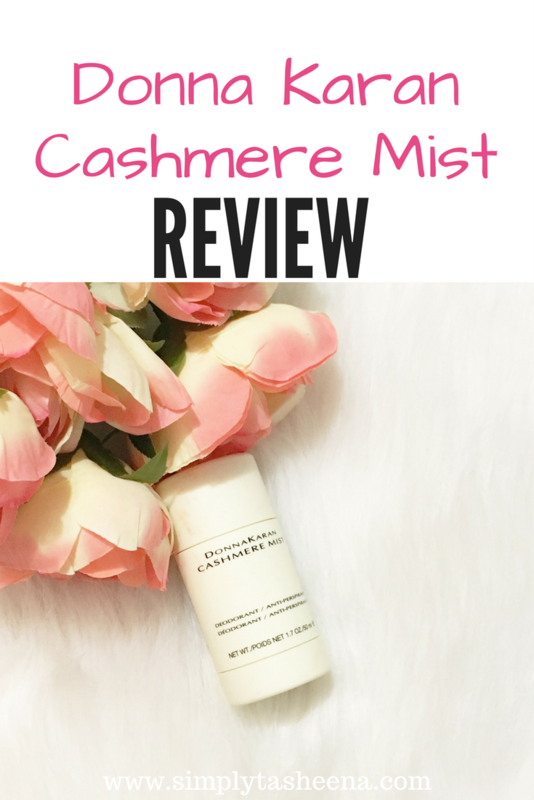 I wanted to share my review of the DonnaKaran Cashmere Mist Antiperspirant Deodorant. I recently learned about this deodorant and learned about the price tag and quickly went on my way. I loved that people raved about this product. However, I couldn't see myself paying that much for deodorant... At some point this year, I decided I was going to make the investment. However, I was going to wait until Nordstrom's Annual sale to make my purchase. I was attending BlogHer'17 in June and couldn't see myself heading in the hot Florida heat with my deodorant that I felt just wasn't working for me. and made the purchase. My first impression of this deodorant is that I loved this scent. I made the purchase back in late June and wanted to give my review after a couple of months of using it. Just to give you a little background history of me. I was a tween/teen I experience skin irritation when trying didn't deodorant. I remember my under arms burning and being in so much pain from the irritation. I quickly stopped just trying any deodorant and switched to a brand that I thought would be a great fit. The brand I was using prior I've used the brand for over fifteen years. However, noticed that I didn't have skin irritation anymore. However, The product just didn't work for me. about!! My underarms smell the same for the time I put the deodorant on to the time that I take a shower. Whether it's four hours in between or 16 hours. This product is amazing. I only have to apply once after using it. Unlike some brands that you have to reapply periodically until you take a shower. If you're thinking about purchasing this product, do it! It's worth every penny!! I did a review on my Youtube Channel if you would like to check out the video. Mmmm Cashmere mist sound so dreamy! I wonder what it smells like! My armpit are now dark because in my teenager life I always put low cost fullt with alcohol deorant especially directly after I shave my armpits. No I only use one without aluminium and alcohol. Thanks awesome! I love it when we find a product that works well. Appreciate your review and sharing it as it opens the possibility for me too! I've been on the super organic deodorant route lately. How does this one stack up? I have heard good things about this deodorant! I think it goes on sale again soon! This is seems a good product and glad you've been using it for month. I should give it a try! I personally love DK products and I'm sure this Cashmere mist would be awesome. Great that the underarms have the same fragrance be it 4 or 16 hours. A must buy for sure! Wow, sixteen hours! Definitely a good product. No need to worry about itchy underarm when your away. I'll check this out and try for myself. Sounds lovely, great that it lasts so long too, that's pretty much unheard of! I had a burning sensation too when I used deodardant on my skin. Since then I have neevr used them. But I am curious to try this one now. I never considered buying high-end deodorant. $20 is nothing to sneeze at. Whoaa! But I bet it feels luxurious! Its nice to discover a product that smells good but also works well. That's so great that you have to apply it only once. That sounds like a great product. My daughter might be interested in. I'm always happy to hear about a new anti perspirant that works well but also smells great too! If it works well it's a good investment.